This is my prayer for the nation - Father, let Your love come pouring down. Things will, things will get better. 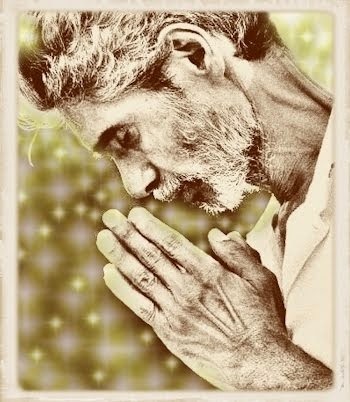 Send the showers of blessings! It might be too late to go down on your knees. Father, send down the rain. [Rain down on mih land] Rain down [and rain down on me.] Rain down, Rain down! Thank you, Rizon! Standing with you to call down showers of blessings on us all for 2015. Special blessings to those who continue to struggle without recognition or reward on our behalf. For thou hast within thy keeping Christ, the infant Prince of Peace. For thou hast within thy keeping Christ, the everlasting Light. For thou hast within thy keeping God's own well-beloved Son. Wishing you peace today and always. Written by Mark Lowry and Buddy Greene. And when you kiss your little Baby, you've kissed the face of God? He's the Great I AM. And renew a steadfast spirit within me, within me. Bad mind. Well I cleaning dat. Selfishness. Well, I cleaning dat too. Violence. Well, I cleaning dat. Envy. Well, I cleaning dat. Jealousy. Well, I cleaning dat too. Hatred. Well, I cleaning dat. Jealousy. I cleaning dat too. This Christmas I cleaning the way. But what about the inside where the Spirit resides? It will never be right if we keep neglecting The Most High. Everything I clean must stay clean. If they bring dey sin over here, I going so. All year long hear me praising Jesus. So they brought gold, frankincense and myrrh and they were all pleased. He is the reason for the season, me say really want to praise my God. All year long, hear me praising Jesus. 'Cause Jesus died for you and me. Woh! I didn't want hear nothing 'bout God or much less He Son. So I decided to change my life...Hey! To turn a page and start a new life...Hey! Share love share love share love! Merry Christmas! Real love, real love, real love! Merry Christmas! More love, more love, more love! Merry Christmas! Share love, share love, share love! Say why we vex, vex, vex? This song is dedicated to all peoples of the world. Merry Christmas from Trinidad and Tobago! He's the Son of God, He's our Saviour so it's Christmas all over the world. I tell you it's Christmas everywhere, it's Christmas everywhere. Season's Greetings now to everyone 'cause its Christmas all over the world. It's Christmas everywhere, it's Christmas everywhere. Lets celebrate, let's celebrate, let's celebrate, the Lord is great! Shower praises to the Mighty King 'cause it's Christmas all over the world. It's Christmas all over the world! Merry Christmas to each and every one from Trinidad and Tobago! I hope you're loving and I hope you're giving, I hope you're loving this Christmas. I hope you're giving and I hope you're caring, I hope you're loving this Christmas. I hope you're loving and I hope you're caring, I hope you're loving this Christmas. Thank you, Sheldon Blackman and Baron. Just beautiful! When you beat up your black cake, don't make a mistake. Fixing and painting, is Jesus we lifting. Canta, canta, mi amigos! I know the grocery high. I know the grocery high. No worries, no worries! Pick it up, pick it up! And wherever you go for this Christmas, make sure you lifting up Jesus. Teach your children how to give, Christian, that is how we live. [¡Cristo es Señor! ¡Cristo es Señor! ¡Cristo es Señor! Señor, Señor, Señor! [¡Cristo es Señor! ¡Cristo es Señor! ¡Cristo es Señor! Jesus is Lord, Lord, Lord! Sweet tune! Christmas, Trini Christmas! Cyah get better than that, man. No cold! ------ not there, not there! Over there, over there! Bring it 'round!... See why I love you? Thank you, Reverend Nicole Ballosingh Holder. Not everyone is a parrandero and not everyone can understand Spanish so it is wonderful to see soca parang songs about Jesus, the real reason for the season, so that the message is more widely accessible. Merry Christmas, everybody! Remember to put Christ in yuh Christmas every year, all year! And I hearing 'bout eating and drinking galore but tell me really what Christmas is for? Gimme Christ in mih Christmas this year. If you put back Christ in mih Christmas this year. Come on everybody, baila! Wooh!!! No-no-no-no-no take out the X! Take out the X, remove it from there! Thank you. That's it, that's it! You now getting the hang of things. Baila everybody, baila! But you see, he only eating paratha and still there are people that are still very sad. Let Jesus shine, how Santa go mind? If you put back Christ in yuh Christmas this year. All right everybody, canta canta! Wooooo! Gloria a Dios! No-no-no roti and egg, no roti and egg! Christ in yuh Christmas That's it, that's it! So let Him be King in your heart and your life, then a true Christmas you will enjoy. If we put back Christ in we Christmas, Christ in we Christmas, Christ in we Christmas this year! Thank you, Rev. Nicole Ballosingh Holder, for an excellent message. "Tu seras la Santa Madre de tu Dios, Emanuel." "You will the Holy Mother of your God, Emmanuel." "¡Ave! No tengas miedo, Santísima, Ave!" "Hail, do not be afraid Holy One, Hail!" Al Espirito Santo para el Cristo venir." To the Holy Spirit so that The Christ will come." Thank you, Los Cantantes de Jesus. 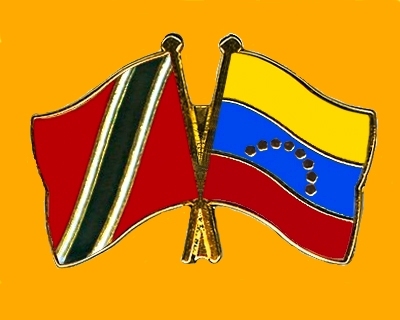 Parang, parang, parang, Aquí en Trinidad. Parang, parang, parang. Here in Trinidad. Al eterno y al hombre una paz universal. A universal peace to eternity and to man. Los tres reyes magos para el Cristo saludar. Adoran a ese Niño quien es la luz imortal. Where that Child who is the Immortal Light is worshipped. Thank you, San Jose Serenaders. Adorar al Niño que está en Belen | To worship The Child in Bethlehem. Fue que nació el rey de Israel | The King of Israel was born. Un hermoso niño, Emmanuel lo llamó | To a beautiful boy whom she called Emmanuel. Una maravilla, el hijo de dios | A marvel, the son of God. Para adorar ese niño quien es hijo de dios | To worship this child who is the son of God. Thank you, Sharlene Flores and Flores de San Jose for this joyful nacimiento. Pero pasando muy poco tiempo has olvidado lo prometido ¡Aye! Que mi alma solo queda la pena, queda el recuerdo que no has cumplido. but soon you have forgotten what you promised Aye! In my soul remains the pain, remains the memory of what you did not honour. [Corazon] lo que no sientas. La la-la, la la-la, la la la-la la-la la. Yo te perdono porque te quiero, porque no puedo darte rendido ¡Aye! Y solo espero que seas sincero todo el amor que me has ofrecido. And I just hope you are sincere, all the love that you have offered. Child Protection: We received Call because Child was sent to School with Roti. The following story is taken from The Star. It examines the factors surrounding the "curious" situation where 41 per cent of the children and youth in the care of Toronto Children’s Aid Society of Toronto are black even though only 8.2 per cent of Toronto’s population under the age of 18 is black. 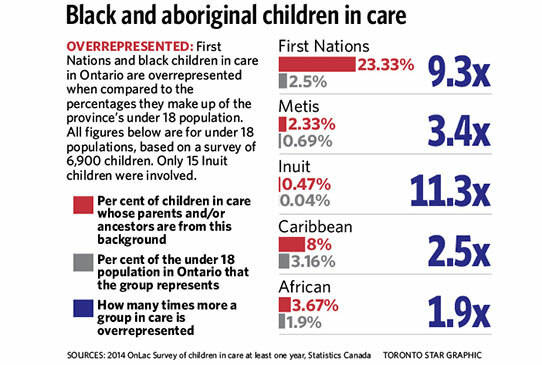 A disproportionate number of Toronto-area children in foster and group-home care are black. Advocates are blaming poverty, cultural misunderstanding and racism. By Sandro Contenta News, Insight Laurie Monsebraaten, Social justice reporter Jim Rankin | The Star | Published on Thu Dec 11 2014. In the Toronto area, black children are being taken from their families and placed into foster and group-home care at much higher rates than white children. Numbers obtained by the Star indicate that 41 per cent of the children and youth in the care of the Children’s Aid Society of Toronto are black. Yet only 8.2 per cent of Toronto’s population under the age of 18 is black. By contrast, 37 per cent of kids in the care of the Toronto CAS are white, at a time when more than half of the city’s population under the age of 18 is white. Other figures obtained by the Star indicate the overrepresentation is provincewide. “The gross overrepresentation of black kids in the CAS is like a modern-day residential schools system,” says Margaret Parsons, executive director of the African Canadian Legal Clinic, which advocates on behalf of the province’s 590,000 black residents. Patricia knows first-hand how cultural misunderstandings can lead to black children being removed from their homes. She was shocked when police and a Toronto children’s aid worker came to her tidy bungalow two years ago to say her granddaughters were being taken into care. Patricia, whose name has been changed to protect the identity of her grandchildren, had been caring for the girls for about a decade, following the death of their mother in Jamaica. They were living a comfortable life in Toronto. “For the little one, I was the only mother she ever knew,” says the soft-spoken woman. That all changed in 2012. Her teenage granddaughter, facing suspension at school, told the principal she would be beaten with a baseball bat if her grandmother found out. “She told them I was going to kill her,” says Patricia, who admits she disciplined her granddaughters with a slap now and then, but denies ever having struck the girls with an object. “West Indian children, if something is going to happen, they say: ‘Oh my mother is going to kill me.’ It’s not that her mother is going to kill her. 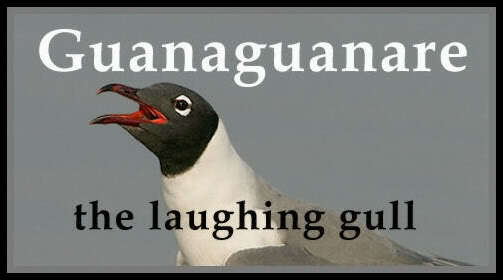 That’s how they speak,” Patricia insists. Patricia was charged with numerous counts of assault with a weapon, involving multiple incidents. A landed immigrant, she says she was advised by her legal aid lawyer to plead guilty to some charges to avoid possible deportation. In a blur, she agreed. As a result of her criminal record, she lost her job as a caregiver for the elderly. Unable to pay the mortgage, she lost her home. And her granddaughters. “Everything fell apart,” she says. Ontario’s 46 children’s aid societies are private, non-profit corporations. They are regulated by the government and have the legal power to take children from their parents for reasons ranging from physical abuse to neglect. There are about 23,300 children and youth in care in Ontario. Most children are returned to their parents within a year, after some form of help is provided. Those in continued need of protection are made “Crown wards.” In 2013-14, about 7,000 children and youth in Ontario were wards of the government, living in foster care or group homes, and another 1,000 were on the path to joining them. The government remains their parent until they are adopted or turn 18. However, youth can decide to leave care at age 16. The Toronto CAS was involved with 11,285 client families in 2013-14. It had 2,155 children in care. Another 624, over the age of 18, continued to get financial support through the agency. The agency shared its numbers on black children in PowerPoint presentations with police, educators and black community members in private meetings across the city over the past year. “We want to make sure that all of our community partners are comfortable with the data before we release it publicly,” says Toronto CAS spokesperson Rob Thompson. Police and schools are the largest source of CAS referrals, accounting for about 40 per cent of all calls, he says. The Star spoke separately with people familiar with the presentations. Of children in care in Toronto, 31 per cent were born to black parents. A further 9.8 per cent of children in care had one parent who is black. Presented with the numbers obtained by the Star, the Children’s Aid Society of Toronto confirmed Wednesday that they were accurate. The data also showed that many of the black children in care were of Jamaican heritage. Lawyers, black community leaders and child advocates say the overrepresentation of black children is due to cultural misunderstandings and stress and neglect created by poverty. They also believe systemic racism in the child protection system, and within the police and schools, is at play. “We received a call because a child was sent to school with roti,” says Danielle Mitchell, a child protection worker at Peel CAS. Corrie Tuyl, manager of Toronto CAS’s north branch, says workers have told her about a school that called with a referral simply because a child was from Jamaica. Everton Gordon, executive director of the Jamaican Canadian Association, believes police go into black homes with the same bias that results in black youth being racially profiled on the street. Front-line CAS workers tend to be young and inexperienced. When they see something that doesn’t conform to life in middle-class, white homes, their reaction is, “Oh my gosh, red flags,” says Danielle Mitchell, a child protection worker at Peel CAS. A recent provincial survey of about 7,000 Ontario children who have been in care for more than one year shows that about 12 per cent are of African or Caribbean descent. Meanwhile, only about 5 per cent of Ontario’s children under age 18 are from those communities. The report noted an increased risk of misunderstandings when child protection officers are called to intervene. Poverty, inadequate housing, language barriers and poor education aggravate the power imbalance these families experience, the report added. Most children’s aid societies in Ontario don’t collect data on race. The child welfare commission recommended that ethnic background information be captured to assess how the agencies respond to diverse communities. But the government refuses to make capturing that data mandatory in a new computer database. The database will connect all 46 children’s aid societies and standardize how they collect and record information. The few societies that have that kind of data are reluctant to talk about it. In the United States, where black and native American children are three times more likely to be in care than white children, race-based data has been collected and publicized for years. American studies had shown that black parents are no more likely to abuse or neglect their children than white parents. In 2010, a study prepared for the U.S. government found higher rates of child abuse or neglect among black parents. Researchers concluded the results were influenced by the 2008 recession, which affected blacks more than whites and caused more strain on families. Poverty, it noted, is the strongest predictor of maltreatment rates. Most children’s aid societies in Ontario don’t keep income statistics on the families they serve. The new provincial database won’t capture that information either. But local CAS officials know poverty is often a factor. A recent report on child poverty in Toronto co-authored by the agency noted that 41 per cent of children of southern and eastern African heritage are growing up poor — more than three times the rate of children with roots in the British Isles. Meantime, 26 per cent of children whose families are from the Caribbean and 25 per cent from North Africa live in poverty. Groups serving the black community are trying to bridge the cultural divide that can land children in care. The common use of spanking to discipline children in Africa and the Caribbean, for example, can lead to astonished parents being charged with assault. Some families have been investigated for yelling at their children, says Gordon of the Jamaican Canadian Association, who witnessed such cases when he worked for Toronto Catholic CAS in the late 1990s. Gordon says parents who get their backs up when confronted with a CAS worker — “You want to tell me how to raise my kid?” — are branded unco-operative, heightening the chances of the child being removed. If abuse is suspected, children are assessed by psychologists who are paid by the CAS, and parents have no say. Nor do they have much opportunity to present their stories in court. A judge often decides to remove a child by summary judgment, a process based on written evidence, largely produced by children’s aid societies. While children’s aid societies try to place children in culturally appropriate homes, it’s not always possible. Paul Chapman, 23, who works in the provincial child advocate’s office, was 9 years old when he and his six siblings were taken from their struggling single mother. He was placed with white foster parents. On Sundays, he missed big breakfasts with Caribbean dishes, and going to church. He recalls one dinner when his foster parents served him perogies. “I had no idea what the hell a perogy was. I said I’m not eating that,” says Chapman. “I think a lot of (black) youth struggle,” he says. After the Star began asking about the overrepresentation of black youth in care, the Ministry of Children and Youth Services met with CAS officials, the provincial child advocate and Parsons’ African Canadian Legal Clinic. Children’s aid officials and the legal clinic late last month submitted a funding proposal for a project to look into why the numbers are so high and how to reduce them. Parsons and other advocates say the numbers won’t go down until family counsellors from their community team up with CAS workers on every protection investigation involving a black child. That’s how Texas, for example, reduced the number of black children and youth in care. A pilot project in the Toronto CAS is keeping some youths out of care by referring black families at risk to a counselling service for the black community headed by therapist Sonia Mills-Minster. The program teaches parenting skills and anger management, and connects families to black community services that deal with mental health and addiction. Fewer than 10 of the 100 families counselled over the last three years have seen a child go into care, Mills-Minster says. Understanding the culture makes all the difference. During a “technical briefing” with the Star last month, senior government officials said they are prepared to work with the community on training and best practices for CAS workers who investigate black families. They suggested it might require the kind of culturally sensitive approach used with aboriginal families. Parsons says provincial leadership and action is vital. The reporters on this story can be reached at children@thestar.ca . And to kiss your lips once again. Del eco de la pena de estar sin ti. Makes you present in my dreams. The echo of the sadness of being without you. Christmas Music on this Blog. For the convenience of visitors searching the blog for Christmas music, I have extracted the Christmas section from the general index.